As soon as I hit 16 years of age, one of the first things I was determined to do was get my driver learner’s permit. I studied the book heavily because this wasn’t a test I wanted to fail because Lord knows that my family would tease me. After taking the written test for the first time, I passed! My school did not offer driver’s education so my mom would take me for mini lessons at the crack of dawn, when the roads were free of traffic, for our safety and her sanity, perhaps. After I felt comfortable enough, I enrolled in a local driving school, taking driving lessons, and a 5-hour road safety class. But, I didn’t get my license until 14 years later. 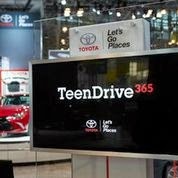 One of the things I wish were available to me when I was a teen first learning how to drive is programs like the Toyota TeenDrive365 program. Toyota’s TeenDrive365 events are free driving clinics geared towards teaching teens interested in driving basic road safety, car care tips, coaching techniques and other practical tools necessary for safe driving. 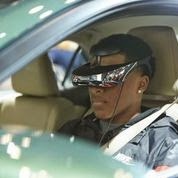 Depending on your location, some events feature an interactive non-driving session or the TeenDrive365 Distracted Driving Simulator. I believe if something like the Toyota TeenDrive365 were available to me during the time I was learning, I probably would have gotten my license a lot sooner. Don’t get me wrong, I am grateful for my mom’s “lessons” and bravery, but nothing compares to what a professional instructor can teach you. Had the Toyota TeenDrive365 been available to me previously, I would have saved a lot of time, money, let downs, and embarrassment. And yeah, my family teased me for YEARS! I don’t have a teen, just yet, but I did share this information with my niece just as I am sharing it with you, my readers. 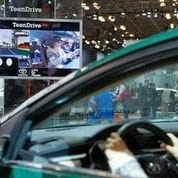 So if you have a teen driver, and your top priority as their parent is to keep them safe, especially while driving, enroll them in one of the FREE Toyota Teen Driver Safety Clinics in NY and NJ (other states, too). Reservations are open until October 26, 2014 here: http://bit.ly/1nfUJ0e A parent or guardian must accompany the teen to the clinic. Arrive at least 15 minutes prior to the start of your class to check-in. Please note: If your desired class is full, you can still register for that date and time. You will be placed on the wait list for that class and will be notified in the event of a cancellation.